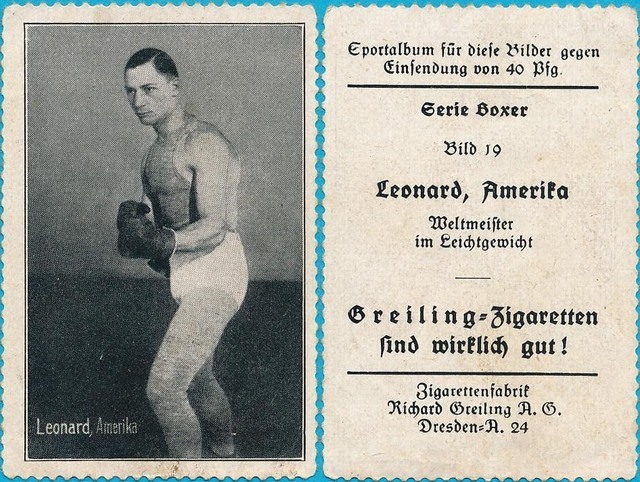 Three version of Greiling cards of Benny Leonard. Circa 1925-26. BTW, this one was stolen out of the mail en route to me, so if a postman tries to sell it to you, kick him hard in the testicles and contact me.